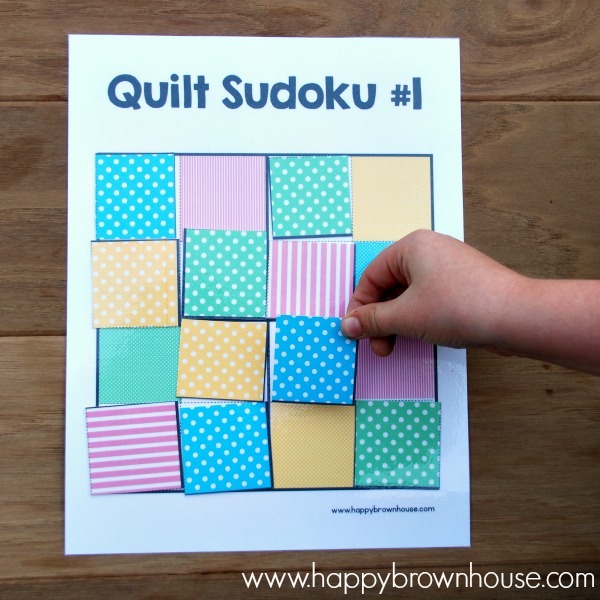 Sudoku is a fun game that many adults like to play, but this version for kids uses colors and makes a beautiful pattern that reminds me of a quilt. This Sudoku for kids busy bag is a little tricky, so this one is for my 8 year old. My preschooler wouldn’t be able to do this one. Sudoku is a great way to work on critical thinking skills. It takes some practice to figure out how all the pieces work together, but it can be addicting once you start to play–just ask my husband! 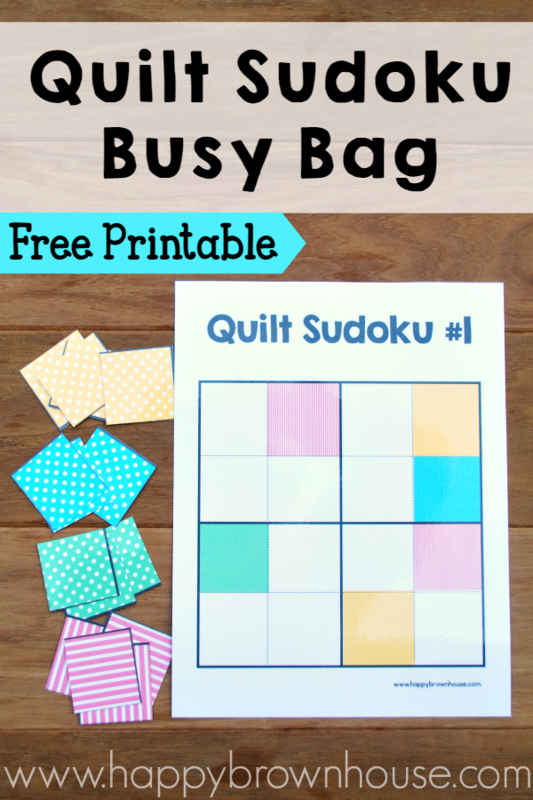 Print the Quilt Sudoku printable and laminate for durability. There should be one and ONLY ONE of each color in each row, column, quadrant. 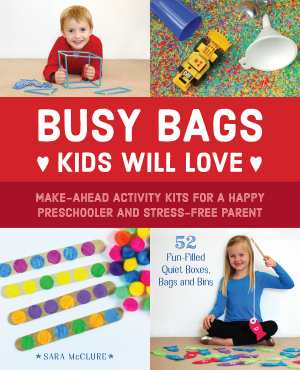 In this printable, I’ve included the rules for play and even an answer key to help you and your child check to see if they got the colors in the correct spaces. I know I even have to use the answer keys at times! My name is Suelen. I’m teacher and I like your ideas. I would to use with my students. Thanks!